Fabric, venetian or wooden blinds: Which one is right for me? 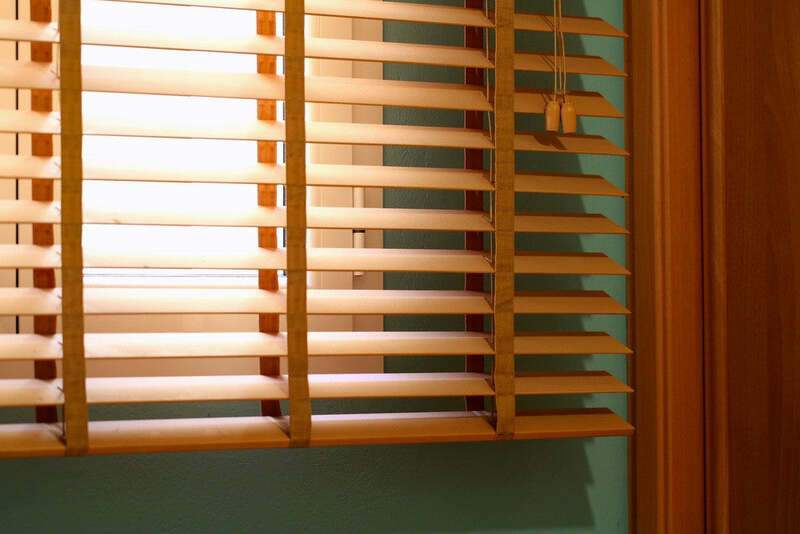 Home / Blinds Advice / Fabric, venetian or wooden blinds: Which one is right for me? When it comes to making the right choice of blind for your window the main thing to consider is what room it is for? This can impact the decision as variant styles of blinds can work best in specific rooms. The information below is aimed to help in your decision to make the process of choice easier for you. The most recognisable name for this is a roman blind. It consists of a panel of fabric that has been lined and is connected to a head rail track by cords. These thread through channels of tape that are attached to the lining. When you pull the chain at the side of the head rail the blind folds up into pleats. A roman blind can suit any room style making it an extremely diverse product. It can soften a window and enables you to bring texture, colour or pattern into your room dependent on your fabric choice. To compliment your decor choose a fabric that is similar to your wall coverings. To contrast choose a bold colour if your walls are neutral. If you have a patterned feature wall then deviate your fabric to mix things up. A bedroom or a room that attracts a lot of sunlight is best lined in blackout. If it is a room where the blind is not used a great deal then standard poly cotton lining is fine. 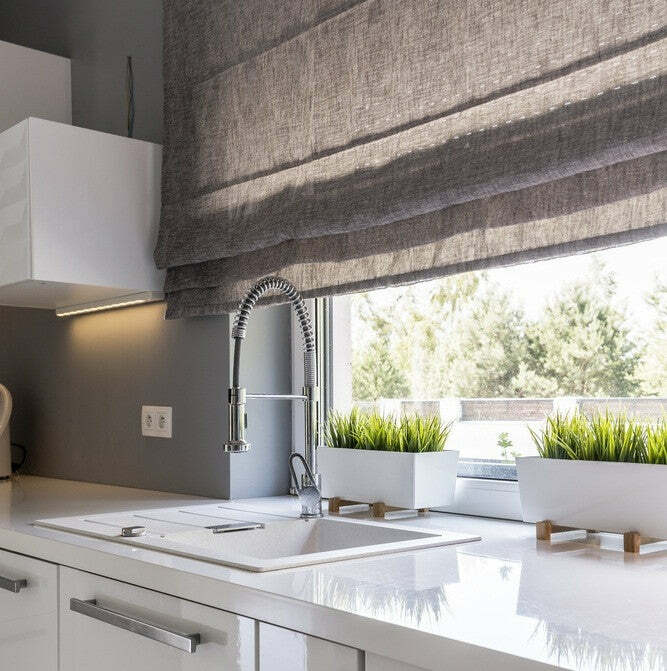 The options are endless........... Roman blinds tend to have a straight bottom edge so that they sit flat on your window sill when dropped but you can shape the edge if your blind is more for a decorative purpose. 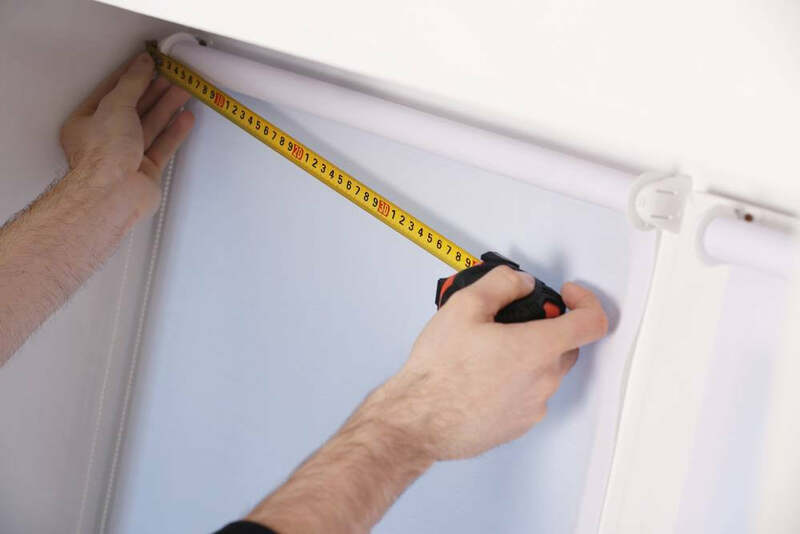 Roller blinds tend to be made from specialist fabrics. This enables the cloth to roll up easily and tightly. This type of blind is good if you are wanting maximum light to come through your window when the blind is retracted. It takes up the least space and can be positioned at any height. The same options apply as above for fabric choices - you can choose if you want a blackout or regular cloth. Most are wipe clean but you can choose a PVC cloth that can be wiped with a damp cloth, good for moist conditions. Vertical blinds are made from specialist fabrics too (the same type as the roller blinds) that are made into vanes that clip into a head rail. They are normally associated with office windows but in the right setting and fabric vertical blinds can give a room a clean modern look. They are particular good on patio or bio-fold doors as the sizes available are bigger than any other style of blind and the stacking options are beneficial as you can choose to have the vanes stacking to one side only (good if your bio-fold opens on a particular side) or to centre split so they part like curtains. The vanes can be tilted to various angles to reduce the flow of light entering the room. 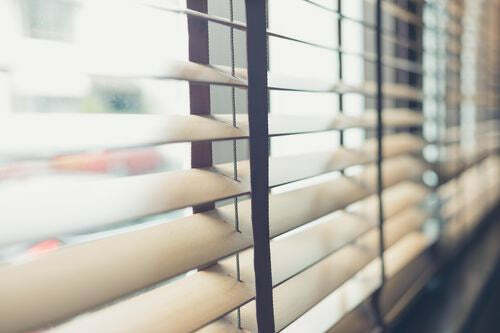 There are 2 types of venetian blind to go for - aluminium or wood. Both are designed to be in the down position for the majority of the time. It is not advised to keep retracting the blind, you may need to consider other options of blinds if you want to do this. Venetians help to assist with privacy as the horizontal slats help to deter from having a clear view through. The slats can vary in size 25mm, 35mm or 50mm. 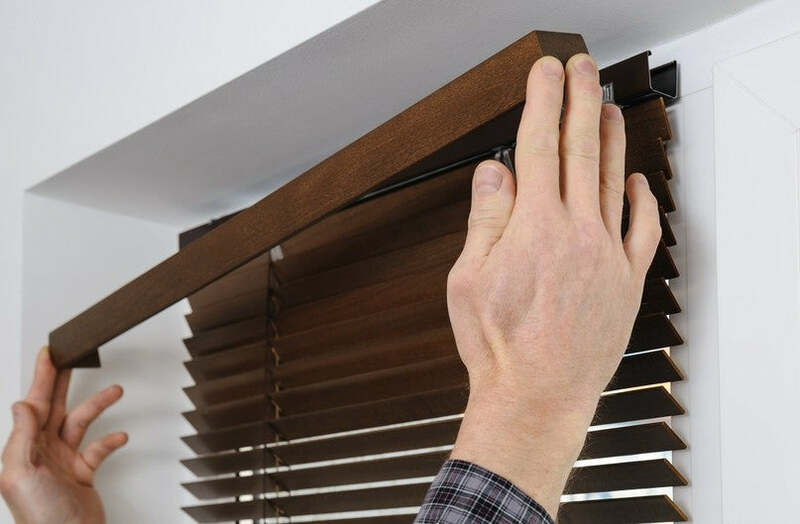 Having a smaller size gives you more slats in the blind, larger will open the window up more for a clearer view. Both come in various colours and finishes. Aluminium are particularly good if you are wanting to bring some impact into the room as they are available in a range of bright modern colours, perforated for texture and wood finishes. Be mindful that aluminium's are a lightweight blind and the slats can be quite delicate. Wooden venetians on the other hand are more robust due to the slats being thicker and made from wood. They give a room a chic look as they not only differ in wood finishes but are available in paint effects in a range of soft tones. You have the choice of having the blind with strings showing or for a completely different look you can have tapes of fabric covering the strings. This gives the effect of having a shutter blind in your window at a fraction of the cost. You can choose to have a contrast colour for the tapes if you want to give the window more impact. If you have a wooden window frame then choosing a wood venetian in a similar wood finish will help to keep your window treatment from making a bold statement. Roman blinds can be fitted inside the reveal or outside if you want to make more of a feature of the window. Just remember that going inside will reduce the amount of light coming through as the folds are deep (approx 6-7 inches). Fitting outside means you can take the blind higher above the reveal. Roller, vertical and venetian blinds are best fitted inside the recess as going outside lets more light through around the edges. It also gives a neater look and finish to your window.